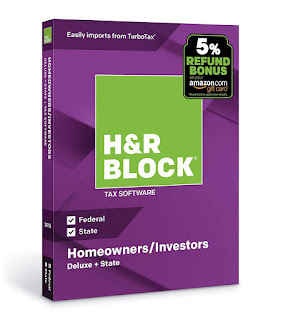 Head over to get this H and R Block Tax Software Deluxe + State 2018 with 5% Refund Bonus Offer for ONLY $25.99 (Retail $44.99)! Designed for do-it-yourself customers who want to be in control of their tax preparation experience and feel empowered by completing their own return. H and R Block Deluxe + State Tax Software offers everything homeowners and investors need to easily complete federal and state taxes, including step-by-step guidance and FREE advice via online chat. SHOP NOW!🎁PLEASE help us grow and keep going - share with a friend or two. With the changes on FB make sure to like, share or leave a comment.